Why would you need Jetbeam K2 Tactical Pen one In your EDC?, News-JETBeam Electronic Technology Co.Ltd. Why would you need Jetbeam K2 Tactical Pen one In your EDC? Our lives can be very unpredictable sometimes. Anything can happen: a car crash or somebody who is harassing you. It would be a good thing to have something, some object that could be used for other purpose but which can serve as a weapon as well. This is why you need Carry a Tactical Pen in Your EDC. Of all the multi-tools used by survivalists, none is more interesting – or more useful – than the tactical pen. But why would you need Jetbeam K2 Tactical Pen one? Because the world has a way of throwing things at you that you would never, ever expect. This is especially true of people who attack others, often at night and in isolated locations. And if something like that happens, you want to be as ready as you can be – which means thinking outside the box. Once only seen in spy movies, widespread use of tactical pens is a relatively new phenomenon. But the pens themselves have been around in one form or another for a long time. They are often used by people who do not wish to carry a gun for self-defense. They also are popular because they can be hidden in plain sight. The big advantage of tactical pens is that they don’t appear to be a weapon to others. But, if used properly, they can save your life it you find yourself in a tricky situation. Small and easy to carry, a tactical pen is a resourceful multi-tool. An extra-sharp ballpoint that can be used against an attacker. A machined steel or aircraft-grade aluminum body that gives the pen extra weight and makes it useful as a weapon. The Jetbeam K2 tactical pen is designed with safety in mind. 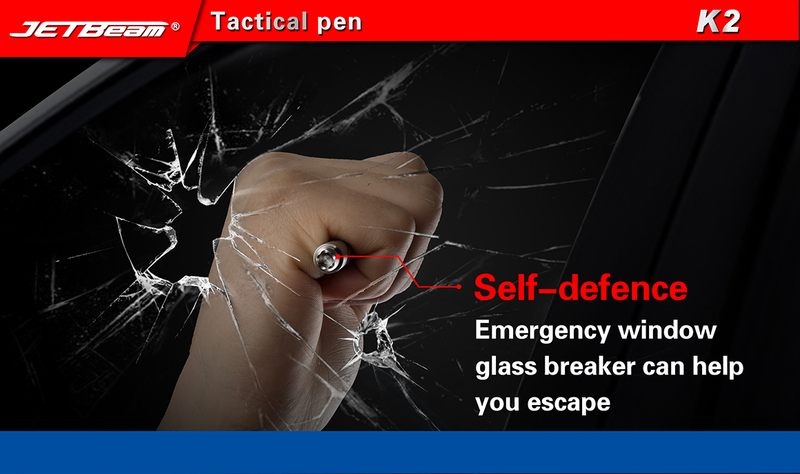 A built-in crenelated bezel is located on the end of the pen and can be used to protect oneself or as an emergency glass breaker. 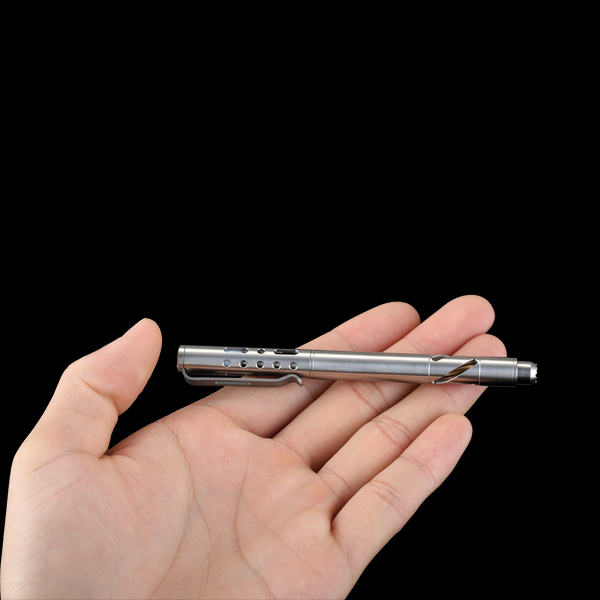 The Jetbeam K2 tactical pen is compatible with Fisher pen refills and is constructed from CNC milled titanium and is resistant to corrosion, lightweight and easy to hold. If you are looking for a small inconspicuous self defense tool, the JETBeam K2 tactical pen is the perfect choice for you. When the caps are off, the pen has the regular ink pen on one end, but on the other has a glass breaker. Whatever pen you choose, getting a tactical pen is a smart step for people who are interested in increasing their level of self-defense. Small but powerful, a tactical pen can give you the advantage when life hands you a dangerous situation. NEXT：What is Best Tactical LED Flashlights?